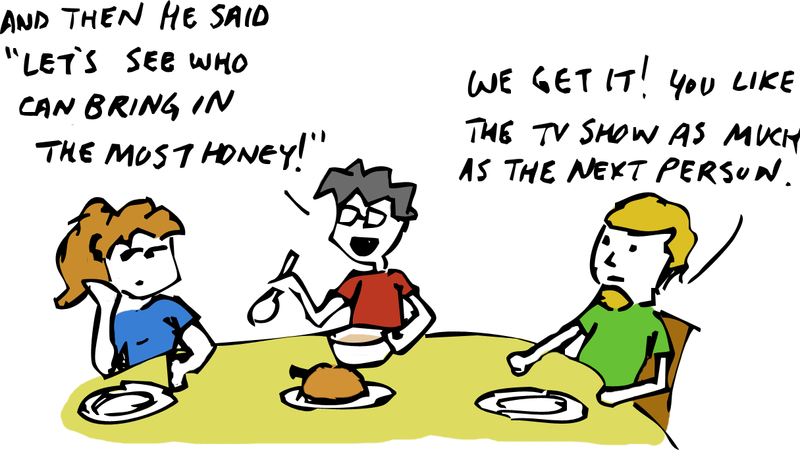 If you’re the sort of person who keeps up with bee news, you are probably not the best dinner guest. 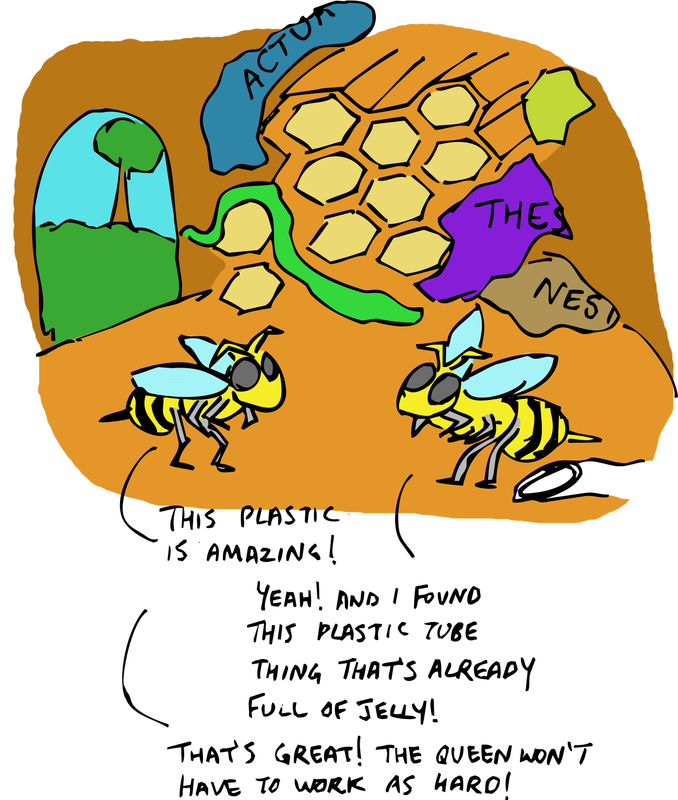 First off, although bees are very interesting when you’re in the mood to nerd-out on them, you can only get so much conversational mileage out of a single topic. Second, you probably end up being the bearer of a lot of bad news. Recent years have not been great for bees. You may have heard that honeybee populations have been dramatically declining because of a mysterious ailment called Colony Collapse Disorder (CCD). 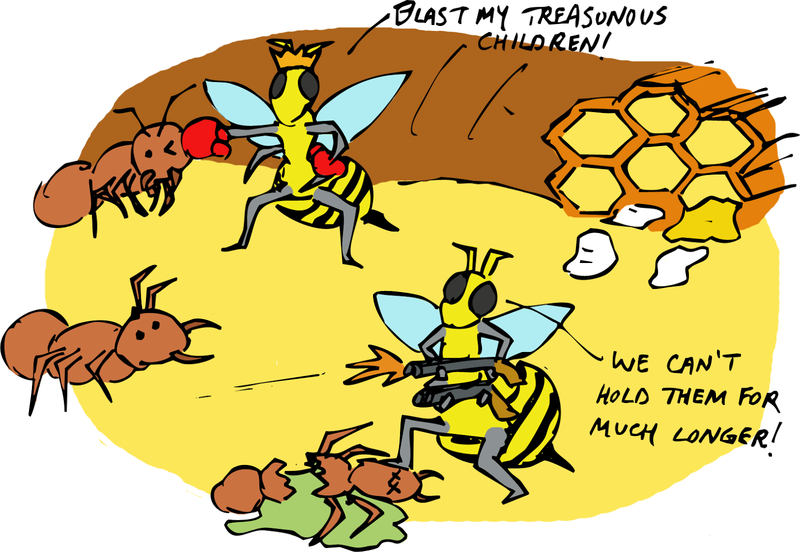 When a hive is hit by CCD the bees lose their gusto for teamwork and all fly off on their own, leaving the queen to tend to the larvae all by herself. The end result is a lot dead bees and a lot of upset beekeepers. No one is quite sure what causes CCD, but there is general agreement that it is a pretty major problem. You may not realize it, but a lot of the food you eat depends on bees for its production. 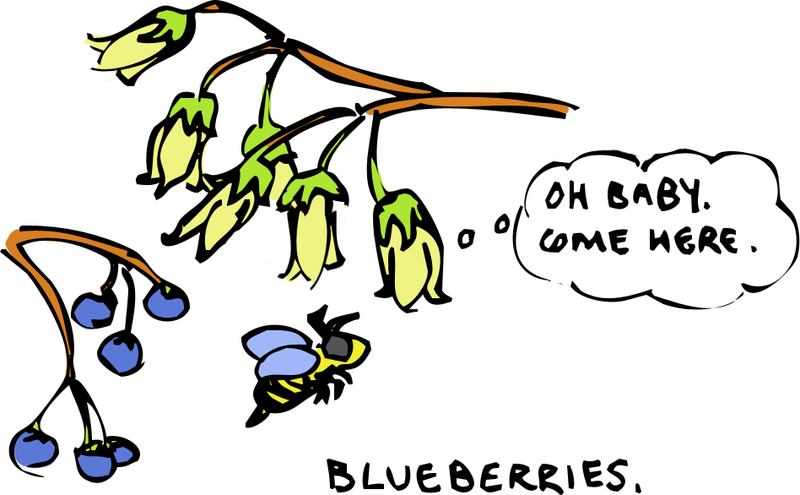 Up to 15% of the fruits and vegetables you eat are pollinated by honeybees. If you eat meat, another 15% of your grocery list is made up of animals that eat plants that bees pollinate. That means, without bees, up to one third of the shelves at the supermarket would suddenly be bare. There are a few competing theories about the origin of CCD. 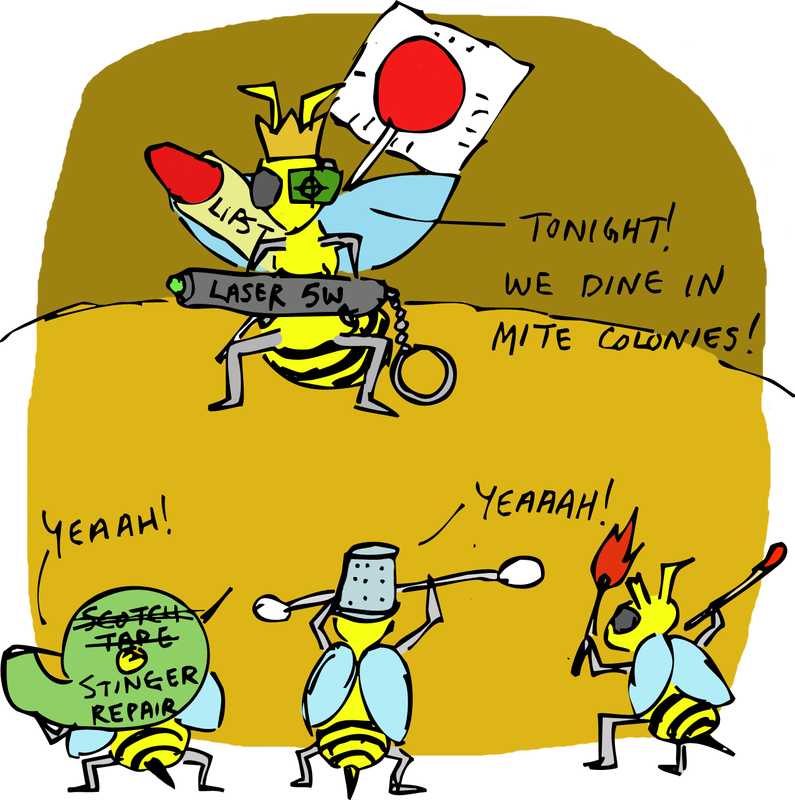 Mites or viruses have been implicated as bee killers. A disease that impacts the bees ability to navigate to and from their hives has been suggested. You also won’t be surprised to hear that human behaviour may be playing a role. 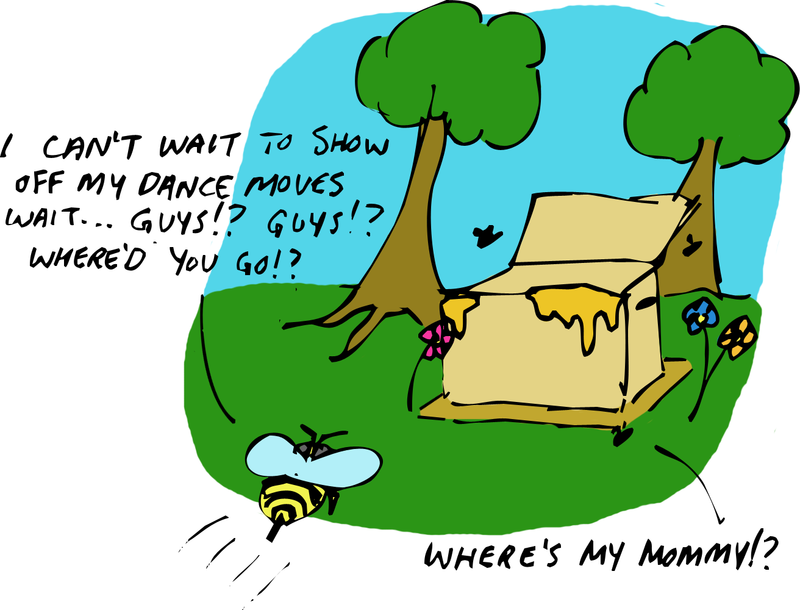 Beekeepers routinely move hives around so the bees can pollinate specific fields and crops. This could be stressing the bees out, leaving them more susceptible to whatever causes CCD. 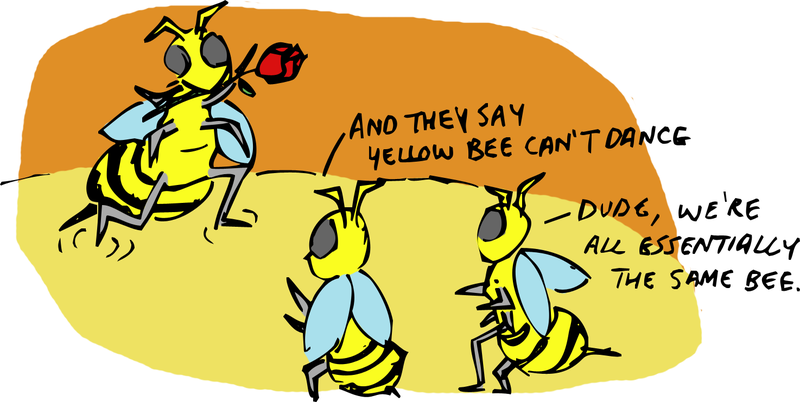 Another problem is the lack of genetic diversity among honeybees. When we humans domesticate something, we tend to breed it with specific traits in mind. That means that when we see something we don’t like, we remove it from the breeding pool. The end result is a lot of bees that are physically and genetically very similar. That may mean that they all show characteristics we want (like a reduced tendency to sting), but it also means that they are all susceptible to the same diseases. Fortunately, there appears to be a few glimmers of hope for our striped, buzzing friends. Research from the University of Guelph in Ontario, Canada has found that some bee colonies are beginning to adapt to a human-dominated world. Several species of wild, solitary bees (unlike the hive-minded honeybees) have been seen using plastic materials from old grocery bags and window caulking to build their nests. Researchers have found nests where up to one third of the plant material that is usually used in construction has been replaced with scavenged plastics. If it wasn’t cool enough that bees are changing their building code, the changes seem to be having a positive effect. Offspring raised in the plastic nests are significantly less likely to be impacted by mites and other parasites that normally raise bee mortality rates. So, as centuries of human interference in the domestication of honeybees is leading to empty hives and withering crops; nature is adapting to some of the garbage we are producing by recycling it into healthier nests for wild bees. When you consider the fact that honeybees didn’t exist in the Americas until Europeans brought them here in the 1600’s, and that their presence has led to a decline in most wild bee populations, the irony really starts to sting. Pun intended. Nice blog. The article you have shared is good.This is very useful. My friend suggest me to use this blog. I have recently published article on water pollution and its causes at essay writing service reviews. Thank you for sharing.